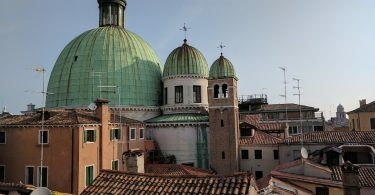 On our last trip to Europe, we ended up taking a train from Brussels, Belgium to Ljubljana, Slovenia. In the middle of this trip we found ourselves with about 7 hours to kill in Munich, Germany. 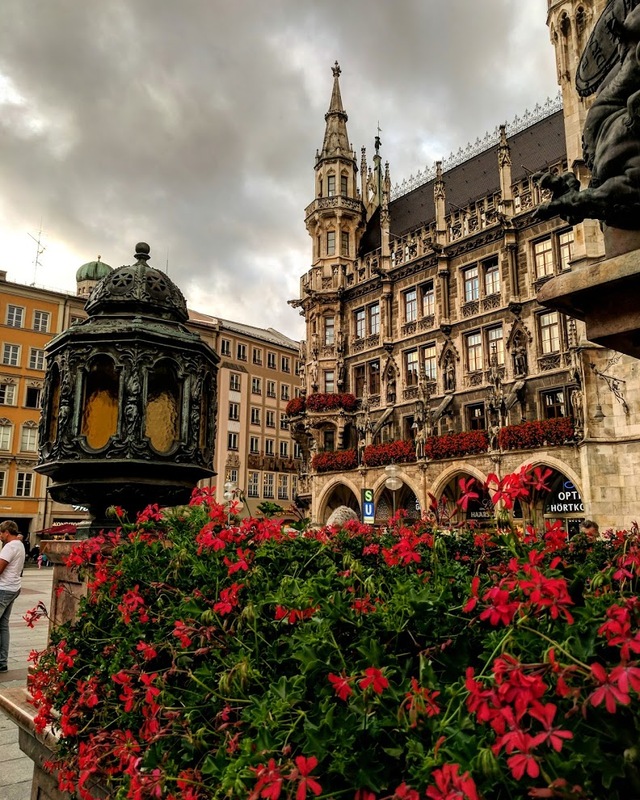 Germany is a neat country, but hadn’t been very high on our radar of “must-see” places. 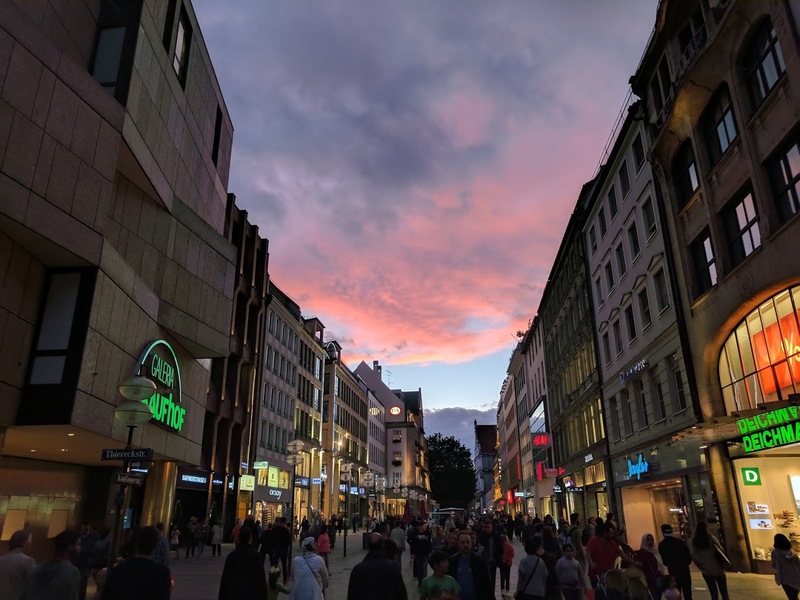 Our quick stop in Munich changed that! 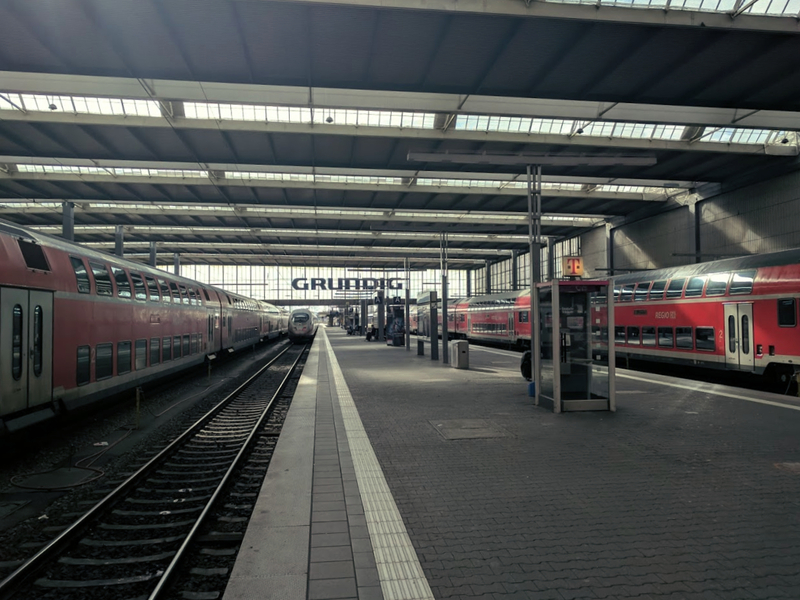 The Munich Hbf train station is right in the middle of the city. They also have left luggage lockers for a few Euro an hour. 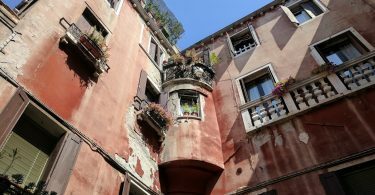 We stashed our bags and headed into the city on foot. The train station is right next to Kaufingerstrasse, a long street filled with shops and restaurants. It was an overcast summer afternoon, with mild temps, and it seemed that everyone in the city was out enjoying the break from their recent heat wave. 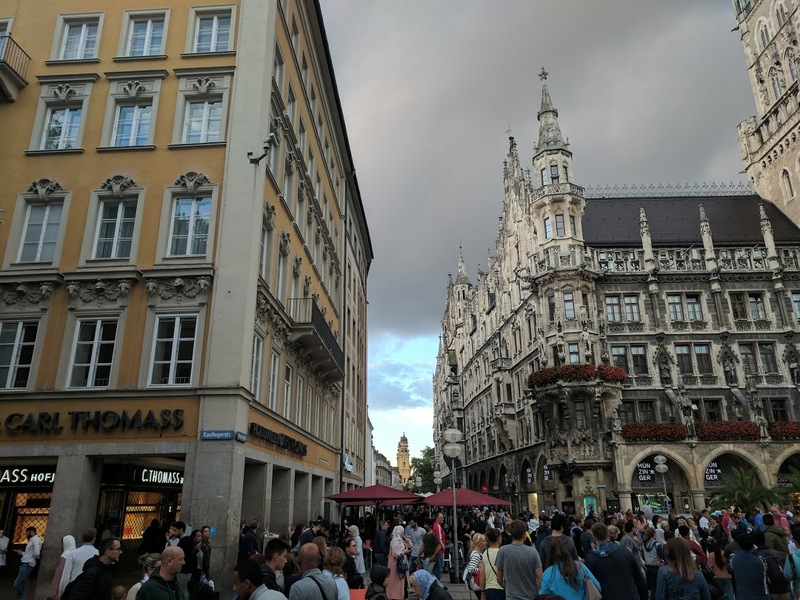 After about an hour of wandering the busy street and checking out shops, we found ourselves in Marienplatz, a central square with beautiful old buildings lining it. 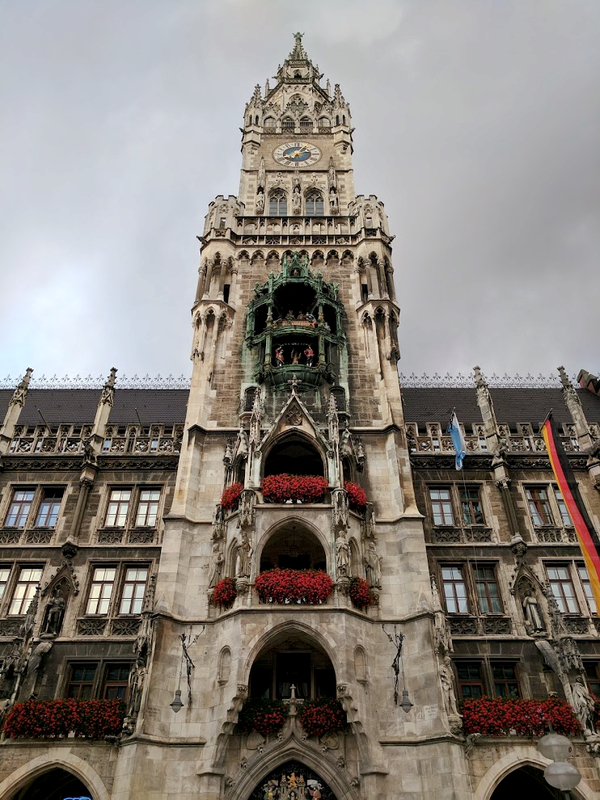 In this square you can check out the Glockenspiel, which is a bit like a giant cuckoo clock. 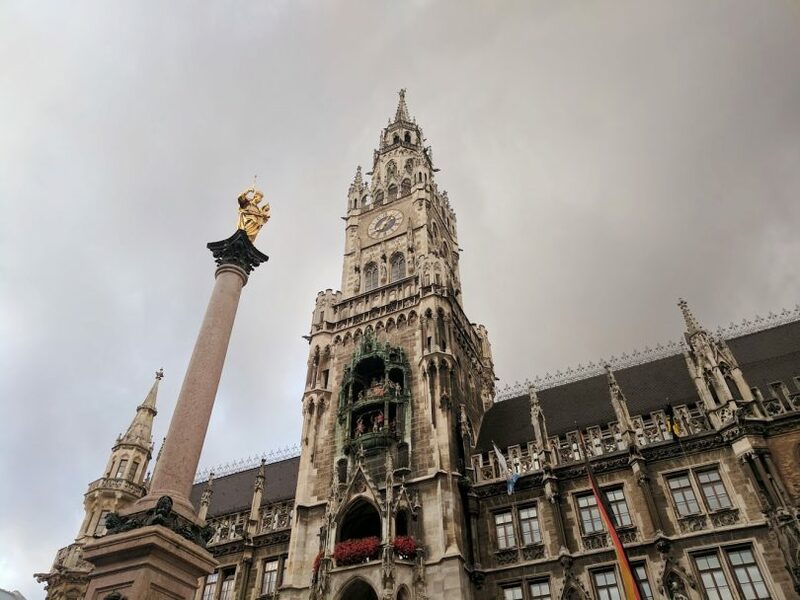 Every day at 11:00 and 17:00 (and noon in the summer), the bells chime and figures dance and re-enact Munich history. Something you absolutely shouldn’t miss if you find yourself in Munich! 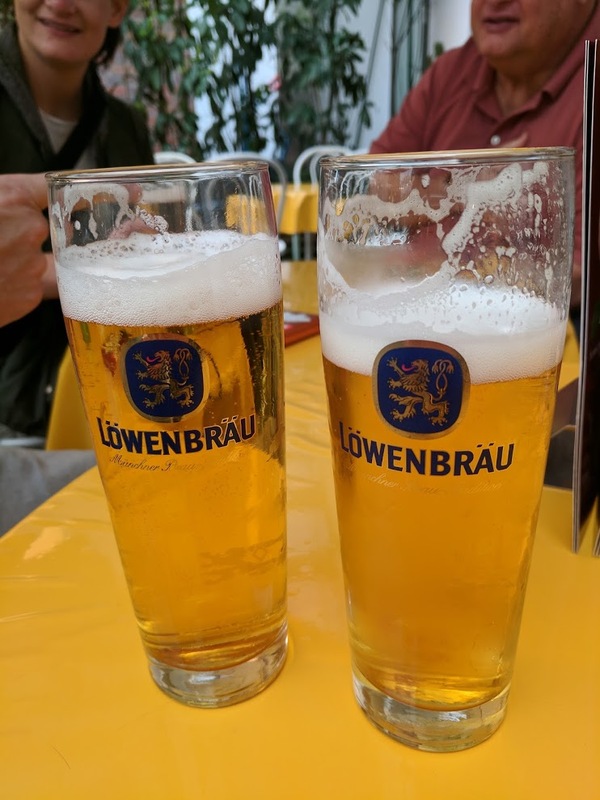 We grabbed dinner, which included big steins of tasty German beer, and slowly walked back to the train station. 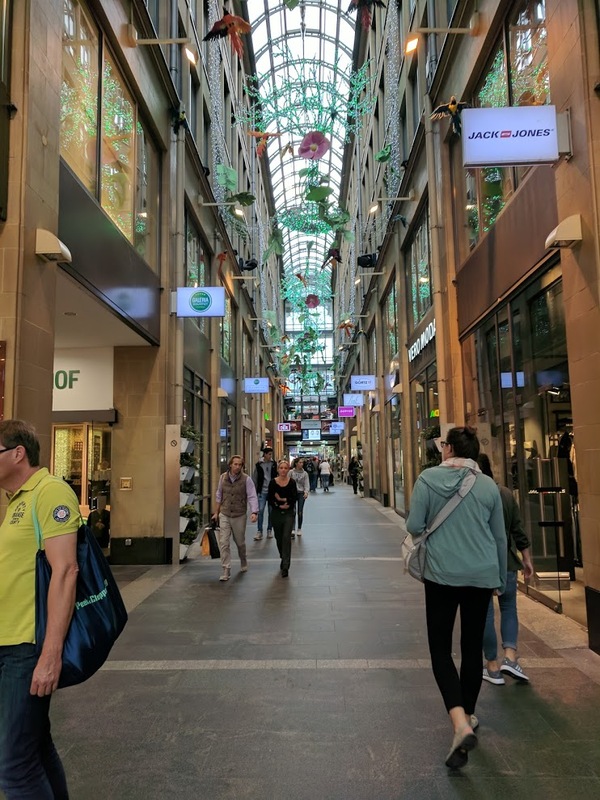 Even though some shops were closing, the street was still very much alive. 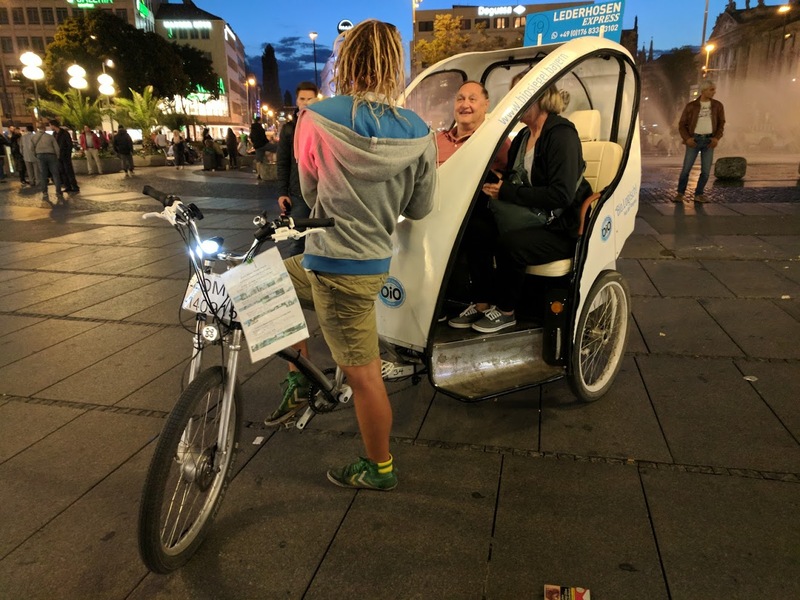 If you feel jetlagged or just lazy, you can also hop on the back of a bike-rickshaw and kick your feet up while being cycled to your destination. The city felt very alive, very German, very orderly, and very clean. 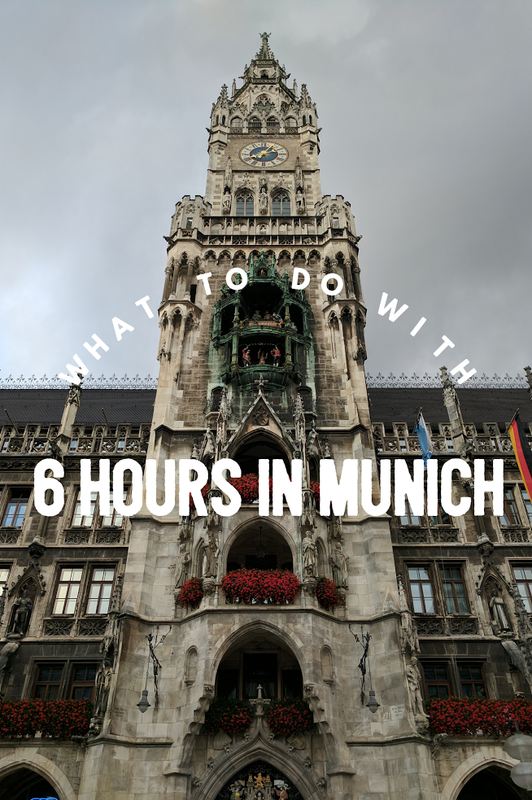 Our 7 hours in Munich felt very short, and we can’t wait to visit again and see more of this city.